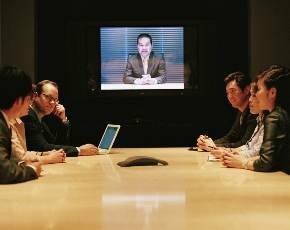 Polycom has launched a raft of new video-conferencing solutions with advanced features that it reckons will help the channel grab and keep a larger slice of a market that could be worth up to $12bn (£7.5bn) by 2015. The culmination of a massive R&D push within the video specialist, the new solutions have been billed as “the largest single launch in our history,” according to Polycom EMEA vice president of sales and systems engineers, Andrew Hugg. Polycom EMEA channel sales vice president Keith Carter said that the launch would help the vendor acquire more leverage with channel players who had not previously considered adopting its technology within their portfolios. “We will now enable system integrator partners who had not previously seen Polycom as a UC player … to see the value of Polycom in that space, and we will be able to tap into more new business,” said Carter. The new products include the RealPresence CloudAXIS software suite, which lets users extend enterprise-grade video collaboration to users of Skype, Facebook, Google Talk and other business video apps via their browser. 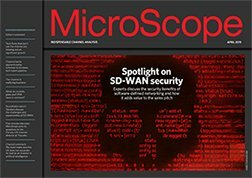 The vendor has also unveiled a range of enhancements to its RealPresence platform, adding support for what the firm claims is the industry’s first implementation of open standards-based Scalable Video Coding (SVC) technology, which will offer greater scalability, lower TCO, higher quality video performance and backwards- and forwards-looking interoperability. This, said Polycom, will account for trends such as BYOD and again enable it to grow the number of potential end-users it can look to address. Also on the table will be the RealPresence Collaboration Server 800s, Virtual Edition, a multi-protocol, integrated software MCU running on industry standard servers, a range of next-generation video endpoints and RealPresence software for PCs and mobiles, and a portfolio of midmarket focused solutions designed to make feature-rich video collaboration more affordable. Wainhouse Research senior analyst and partner Ira Weinstein said that a number of factors – such as closed video ‘islands’ and limited scalability options – had hamstrung wider adoption of the technology. “Polycom is [now] tackling these adoption barriers head-on by making video-conferencing easier to deploy, use and scale without forcing forklift upgrades,” he said.